The GP050LX Pneumatic 4-Wheel Lift Truck works as an extended member of your team to meet the bottom line and keep productivity high. Its maneuverability and innovative design with the controlled powershift transmission allow smooth direction changes that won’t decrease tire life. The GP050LX truck is also safe and operator-friendly. The operator restraint system includes non-cinch seat belts to ensure safety on the job. The adjustable steering column and non-suspension vinyl seat are also designed to combat fatigue, increasing uptime. 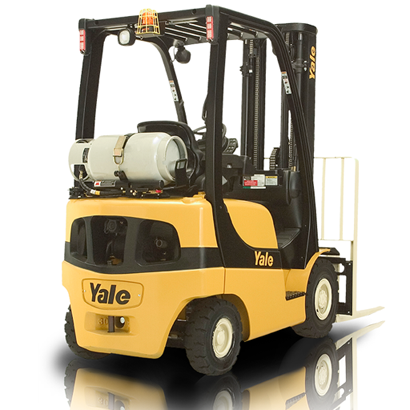 Stick with Yale for their dedication to quality lift trucks that won’t bust your budget.